Almost a month ago we went to a new member training to serve with Wycliffe Associates at their headquarter office in Orlando, FL. They had 3 full day training for us plus orientation about the organization. We got to meet the President, Vice President, Program Director, HR staff, Training Department staff and many other volunteers who came to the office while we were there. We were sent home with a lot of information and excitement to start the ministry with them from home. I have been working from home with the people in SEA* and also translating some training materials from English into the national language. Super excited but also it is a big challenge for me to manage my time as a wife and a mom who has a daughter going to Kindergarten and a toddler girl stays home with me. For that, my time to craft is got shorten. I don’t mind since Family and Ministry are priority. Crafting, making card and scrapbooking are hobbies I enjoy doing in between, when I can. My husband had a request, he asked if I could make him a phone sleeve out of felt for his new iPhone 6 just like his old iPhone 5 felt sleeve. He showed me the old case and I thought I could probably could do it. So, last night I had a chance to sit to finish it and did couple phone sleeves for me and my hubby. First, cut the felt in 11.5″ x 3.25″ using rotary cutter. I found cutting felt and fabric with rotary cutter is so much easier than using scissors. But always remember to have pad underneath. 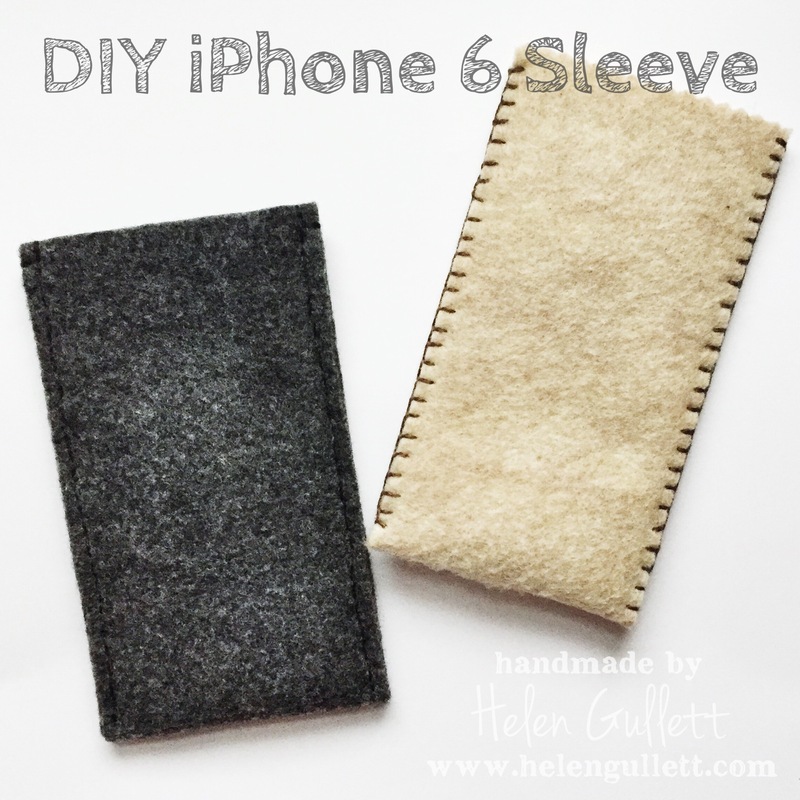 I double-layered the felts for sturdiness. So, stack together both felts using the quilt thin double-sided adhesive tape. But if you have thicker felt, then you don’t have to. After they are secured with the tape, fold it into half to make the sleeve. And start backhand-stitch them or you can use your sewing machine. Feel free to add any embellishment on the front of the sleeve if you want to.